BE THE MASTER OF YOUR OWN IDEAS. Buy it now: at Amazon.com, on Kindle, Paperback or Audiobook. This short, fast paced, irreverent guide to creativity is for anyone who works with their minds (or who has lost theirs recently and wants it back). You won’t find useless clichés, overhead lightbulbs or thinking in boxes, here in Berkun’s 7th and latest book. Instead it delights you with a fresh and fun way to think about thinking that will stay with you a long time. And you can read the whole thing, including laughing time, in less than 3 hours. Grab the five free chapters if you wish first. 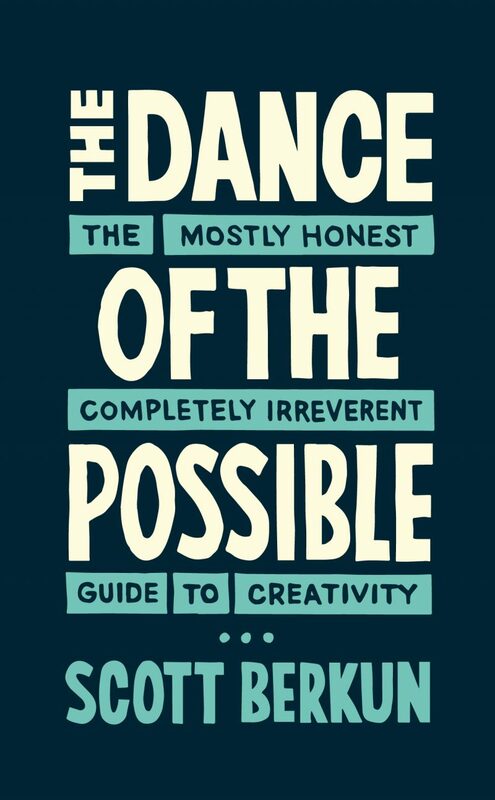 With challenging chapters on finding ideas, developing concepts, creative confidence, making bold decisions, and separating feedback from encouragement, The Dance of The Possible will surprise you, make you think, laugh and perhaps even dance when you get back to work.